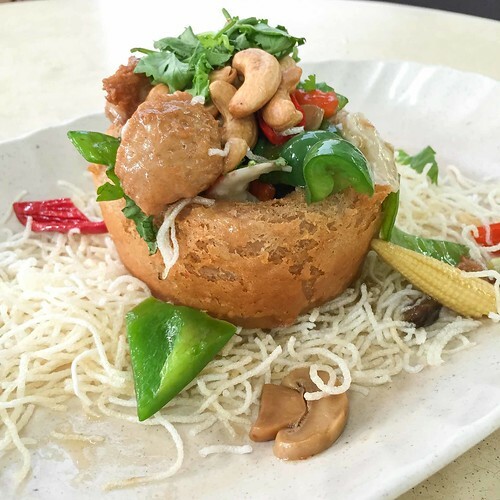 We dare say that Keat Lin is the most popular vegetarian eatery in Ang Mo Kio. We always find many patrons ordering and waiting for its food especially during lunch and dinner. 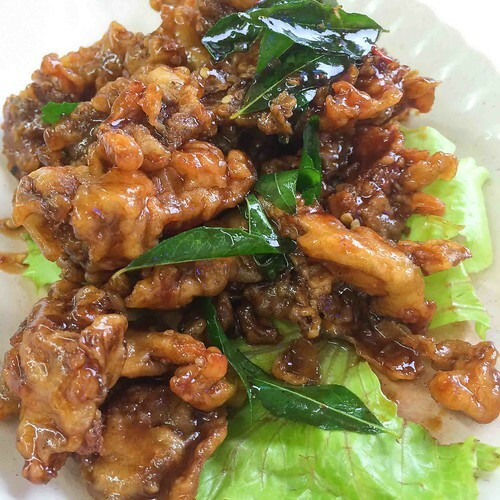 Kiat Lin specialises in Zi Char dishes such as Fried Rice and Ala Cart dishes. 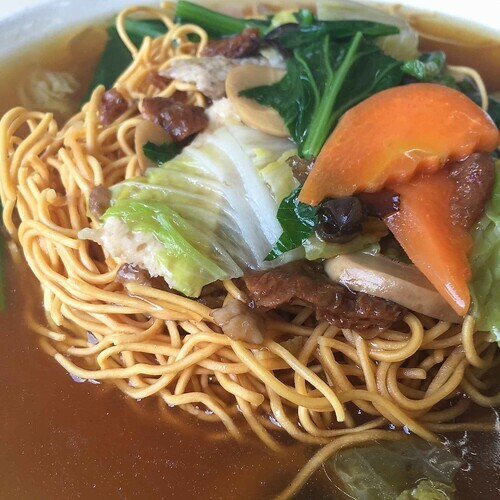 Like the Divine Realms in Hougang, Keat Lin owes its popularity to its restaurant quality dishes at a cheaper price range. During our first visit, we enthusiastically make our way to Keat Lin to beat the crowd before lunch. We find the stall open, but not ready to serve dishes till 12pm. When we come back at 11.45am, there is already several customers waiting at the tables for their orders. 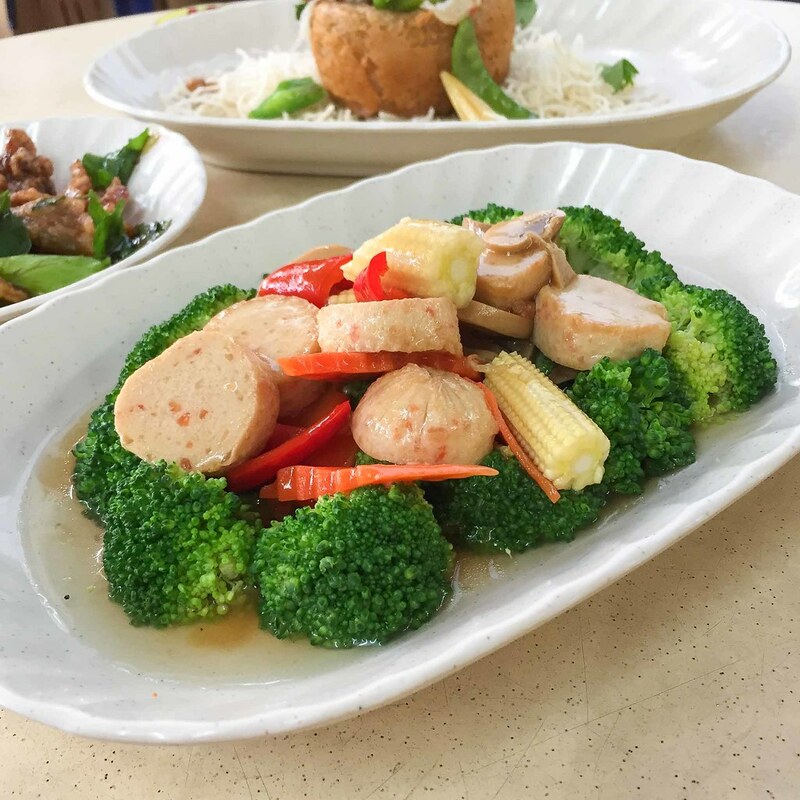 If you are alone, the best value meals will be the Zi Char dishes and set meals. Priced between $3.50 to $4.50, the dish will be sufficient to ease your hunger. We prefer these set meals as it comes with Keat Lin’s great culinary skills. 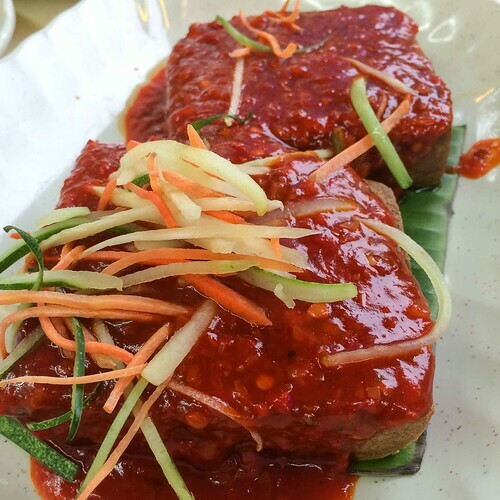 For example, we can order mock fish in sweet and sour or sambal sauce. 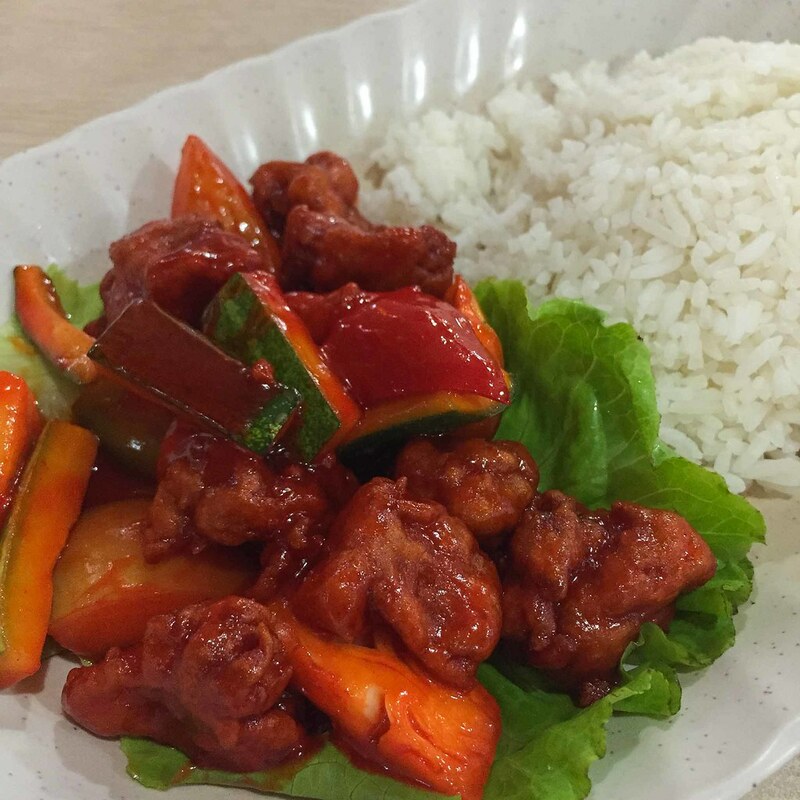 We recommend that first-timers try the sweet and sour pork rice. 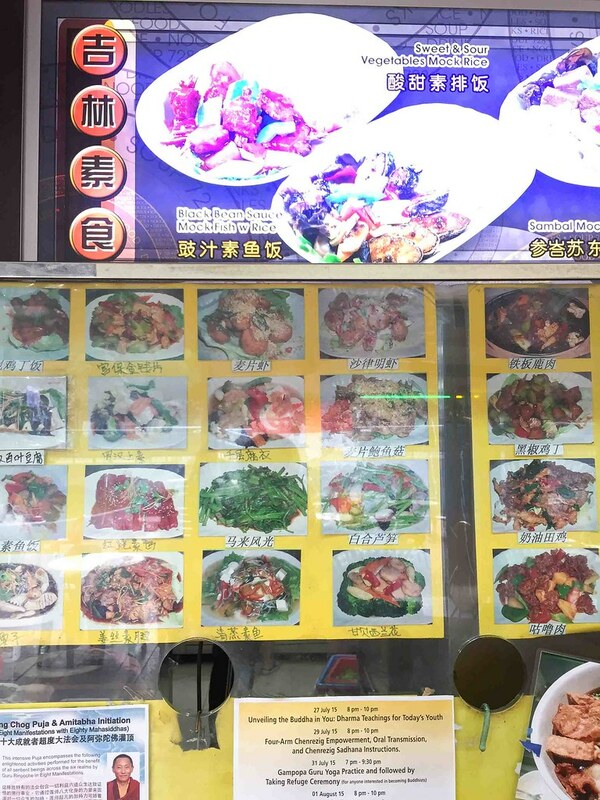 You can order a plate of vegetables to complement the meal. 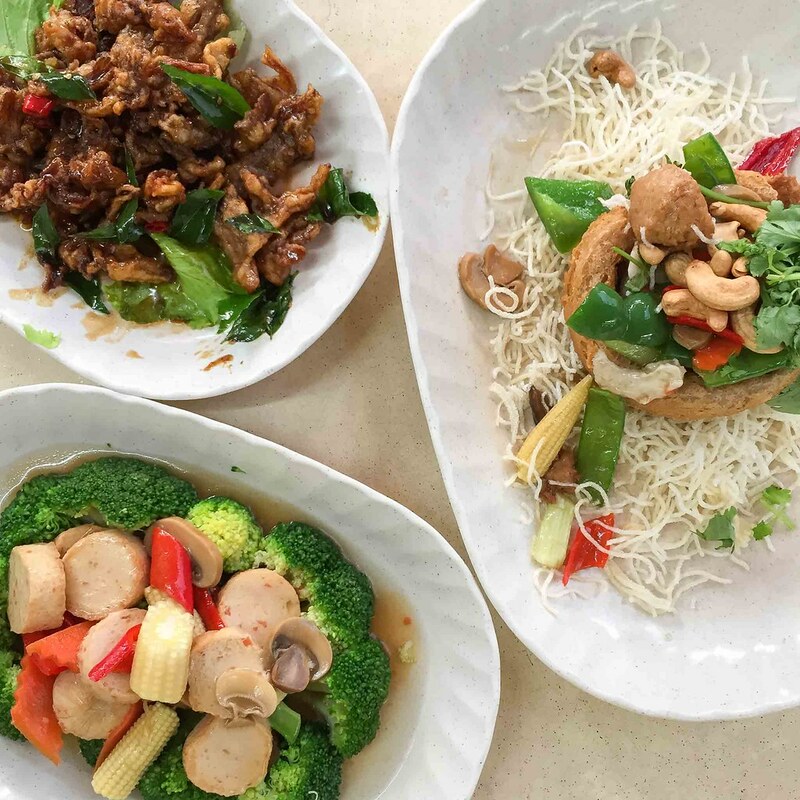 We absolutely love the spicy dishes from Keat Lin, especially the Kung Pao Abalone mushroom. Keat Lin cooks the fried mushroom with small chilli and curry leaf instead of the usual dry chilli. The sauce of the vegetarian chilli fish is also quite good. On the other hand, the Yam Ring is disappointing. We felt the chef cook the Yam Ring rather hastily. It also does not have much gravy. As for the Broccoli with mock scallop, the scallop is just typical mock meat with a bland taste. Keat Lin offers a variety of dishes for vegetarians living in the North and craving for restaurant quality food at a reasonable price. 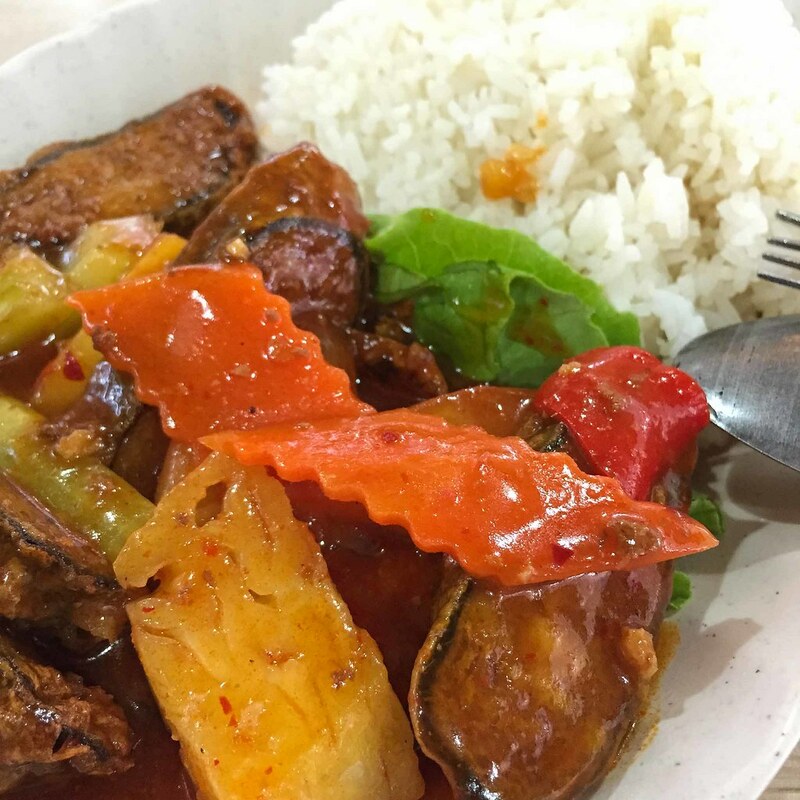 Kiat Lin really excels in its spicy dishes. 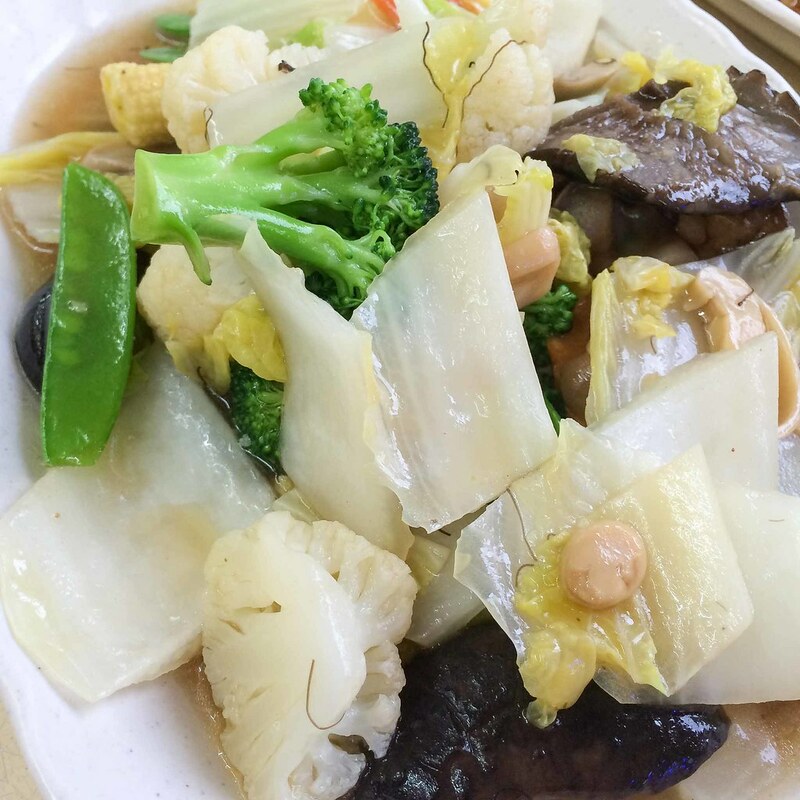 We advise that readers stick to simple vegetable dishes like Luo Han Zhai (vegetables) and stay away from the expensive Yam Ring. We walk to Kiat Lin from Ang Mo Kio MRT. We have eaten here before and the food is quite good!